The Legacy Of Jimi Bell - Welcome To All That Shreds Magazine! I’ve known Jimi Bell for over 30 years. I remember sneaking out of my parent’s house to go to the Agora Ballroom in West Hartford, Connecticut to see Joined Forces. Jimi is a giant on the guitar; Bell has used his considerable talent and abilities to work with the top artists in the music and entertainment industry. He was an active guitar phenom player in those bands. In 1986, Jimi Bell worked in Michael J. Fox and Joan Jett’s film “Light of Day.” In this movie, he was both a performer as an actor, and he played on the soundtrack as well. At the time Bell was endorsed by Kramer Guitars. Kramer was the one who admitted Bell’s talent and mental abilities, and he wanted him to get to the place he deserved. Meanwhile in 1987, across the country, Ozzy Osbourne started an international campaign to search for the best guitar player in the world to replace the departed Jake E. Lee. When Kramer heard about this audition, They sent Bell’s video to Ozzy’s wife. Bell was just surprised when he received the call for an audition. He went to Los Angeles for the audition. There were around 500 best young guitarists from all over the United States. Bell’s playing made a great impression there, and Ozzy himself decided to play with Bell the next day. He was so much nervous on that day. However he played well on that day too, and after that audition, Jimi Bell was told that it was down to him and Zakk Wylde. Therefore, he decided to stay in town for another day. After one day, he was sent home on account that the event had come down to 2 guitarists; Jimi Bell and Zakk Wylde. After that, the members of his band left him, and Bell remained alone. After a week, Bell learned that Zakk Wylde was the new guitarist of Ozzy. It’s this writers opinion that the Osbourne camp shortchanged themselves by not picking Bell. Jimi Bell is a more of a complete guitarist than Wylde. Bell was so much disappointed; he was feeling lost, with no band and no career. 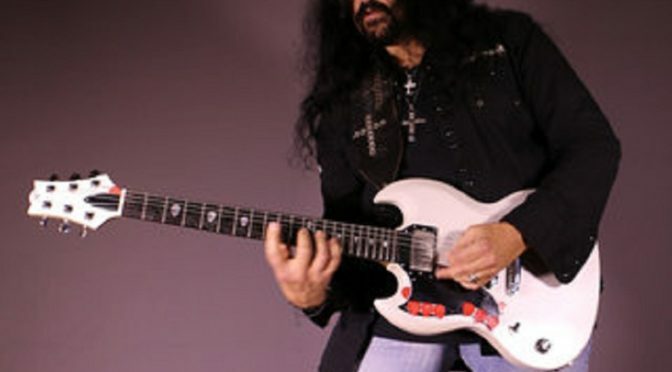 After a few months, Bell received a call that Geezer Butler was searching for a new guitarist. He went there to record his music, but he had bad luck there. He was once again left alone. Despite his failure every time, Bell never quit. He began to realize that every time one door closed, another would open. He believed that giving up on his dreams was simply not an option. A few years ago, he had to fight with cancer too. In 2005, Jimi Bell joined the band House of Lords, and he never looked back. Since 2005, Bell has toured Europe every year with House of Lords. His band Maxx Explosion, an off-shoot of House of Lords, has been playing very well and regularly in the United States. Despite setbacks, Jimi Bell had made music of his life. Despite his “what if” thinking, Jimi looks back on his experience with Ozzy with a positive feeling and has no regret for that. Previous Previous post: John 5 And The Creatures Release It’s Alive!